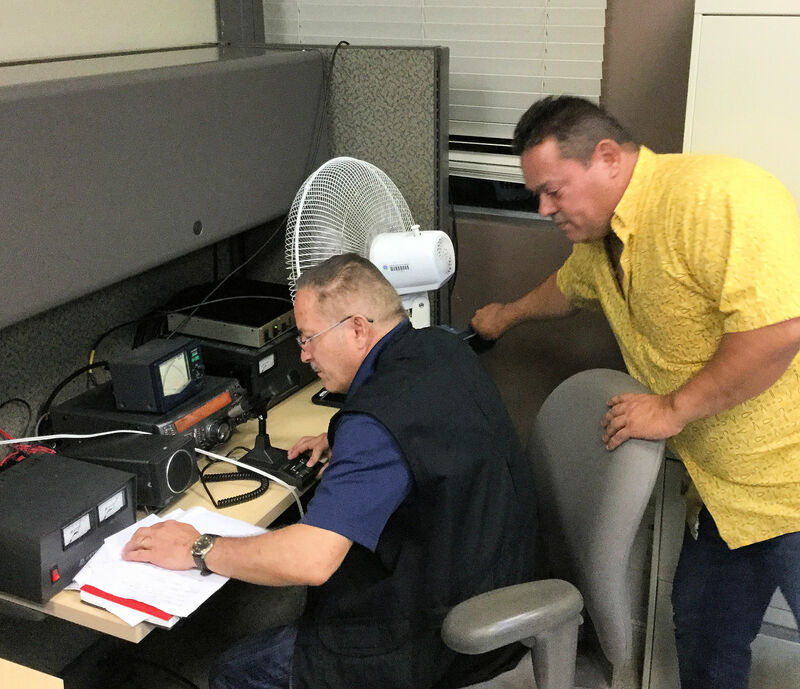 Resto said radio amateurs have also been assisting Puerto Rico's Electric Power Authority (Autoridad de Energía Eléctrica) using 146.52 MHz to dispatch line crews and coordinate fuel deliveries for the authority's offices at the Monacillo Control Center and at several power plants. "The power system is fully shut down for all the island," he said. Drinking water and proper sanitation facilities are also in very short supply. Resto said Puerto Rico needs "everything...solar panels, repeaters, and most important, transmission lines and antennas. Some base or mobile VHF/UHF radios, a 1- to 2-kW power generator." Fuel for generators as well as vehicles is still in short supply on Puerto Rico. Kleber said pictures in the news and social media don't do justice to the wholesale devastation in parts of the Caribbean. In the USVI, he said, trees, power poles, transformers, and telephone lines were downed all over, and debris blocking roadways is making travel slow or altogther impossible. He and others have been staffing the emergency communications center 24/7. ARRL Santa Barbara Section Technical Advisor Ben Kuo, AI6YR -- who has been keeping a close ear on the situation in the Caribbean -- said hams on St. Lucia and Dominica and from outside the region coordinated the landing of emergency relief vessels from Barbuda and advised rescue groups on logistics. Amateur Radio also has provided a path for government communication on Dominica, where conditions are starting to improve. 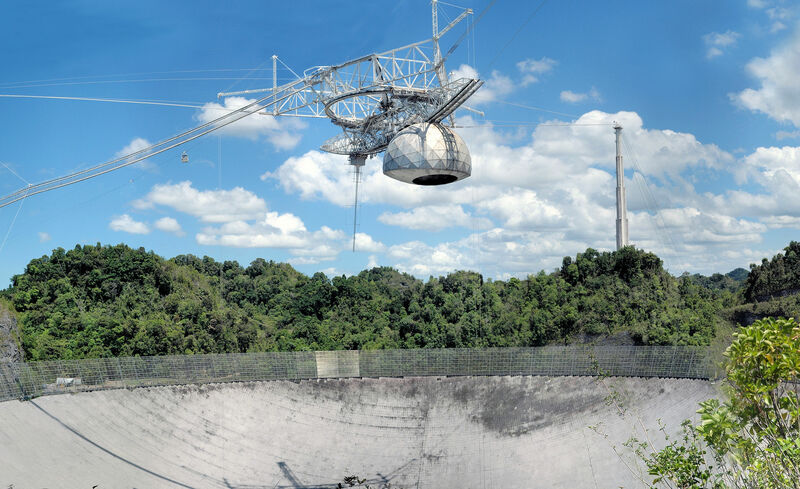 Observatory officials are still assessing the damage, but Jim Breakall, WA3FET, of Penn State University, told ARRL that the 96-foot line feed antenna at 430 MHz is "historically the key piece to the observatory." 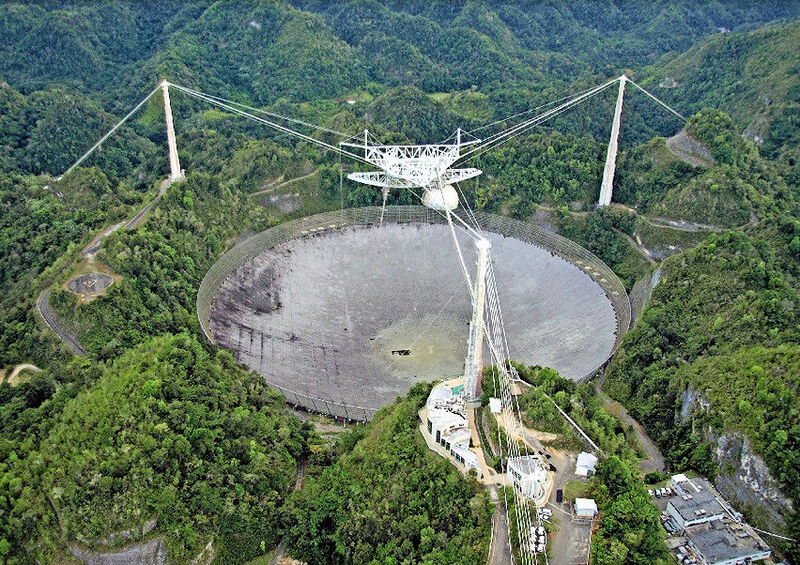 It's also the antenna that he and others have used for Amateur Radio moonbounce activities from Arecibo. The Observatory is home to KP4AO. "Soldering and Unsoldering" is the topic of the latest episode of the "ARRL The Doctor is In" podcast. Listen...and learn! 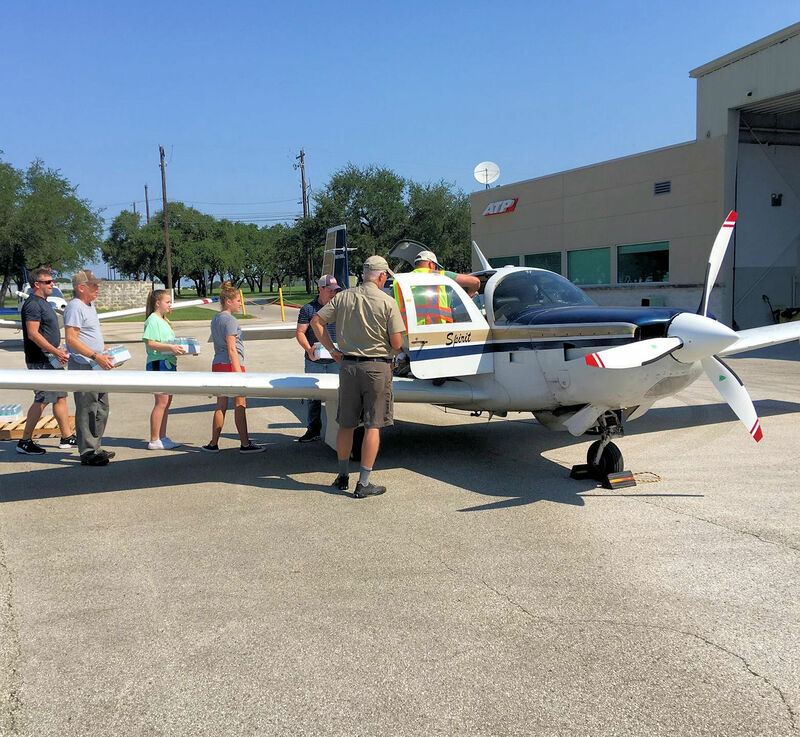 Brian Lloyd, WB6RQN, the Texas aviator who recently circumnavigated the globe following Amelia Earhart's path, is spearheading "Dominica Airlift -- Angels to Eden" to aid residents of the storm-stricken Caribbean island nation. A category 5 Hurricane Maria slammed into Dominica on September 18, leaving the population of about 70,000 without power or viable telecommunications. In addition, it wrought severe damage to homes and infrastructure, including the island's port, but sparing at least one usable airstrip. The situation on Dominica is said to be dire, with conditions that the Prime Minister, Roosevelt Skerrit, described as "worse than in a war zone." 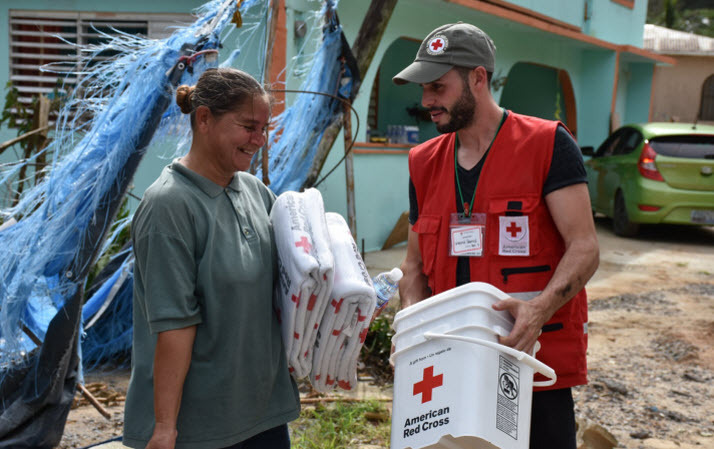 Lloyd learned this week, however, that the relief situation on Dominica is improving. "Our help is needed, but new information came in last night," Lloyd said in a September 25 Facebook post. "We established contact with the emergency operations center (EOC) on Dominica late last night. We now know that the port is open again, and other relief materials are starting to flow into Dominica." 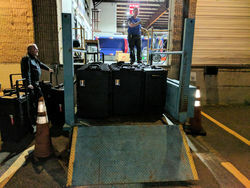 But, he added, even with international relief from non-governmental organizations (NGOs) starting to come in, the EOC asked Lloyd and his airlift volunteers to come to Dominica to help. "Our help is still needed! We can respond to special needs faster than an NGO can once we are in-theater," Lloyd said. Pilots with small aircraft are still needed. "We have lots of people who want to donate supplies, but without the airlift going, the supplies can't get to Dominica," Lloyd said over the weekend. He hoped to arrive in Dominica on Thursday. Brian Lloyd, WB6RQN (center, with back to camera), oversees the loading of equipment on his airplane, Spirit. Lloyd will take along portable satellite and HF radio gear to set up communication. In addition, he has an HF transceiver on his plane, Spirit, and is carrying a Micom 3 Fly Away HF radio with automatic link establishment (ALE) capability, to use as a portable disaster relief base station. 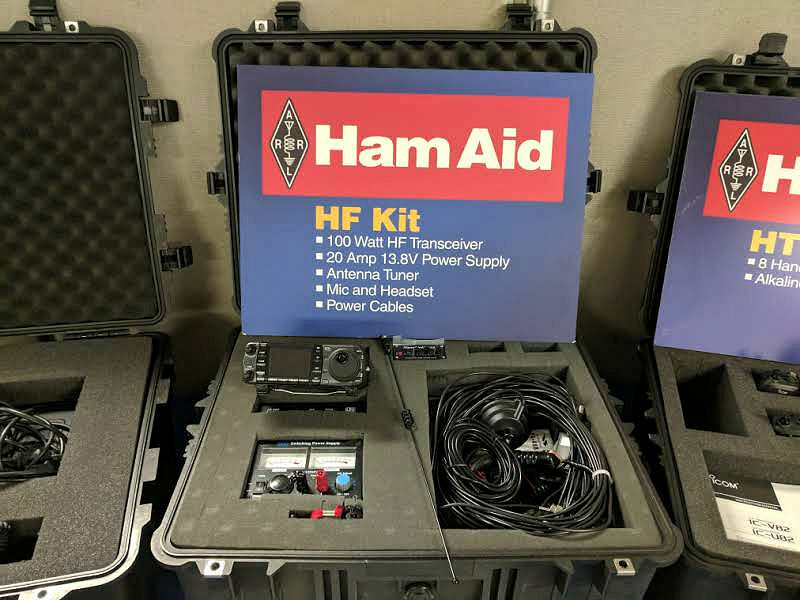 Ham radio volunteers living in areas having good signal propagation into the Caribbean region are being asked to activate their home ALE HF stations. 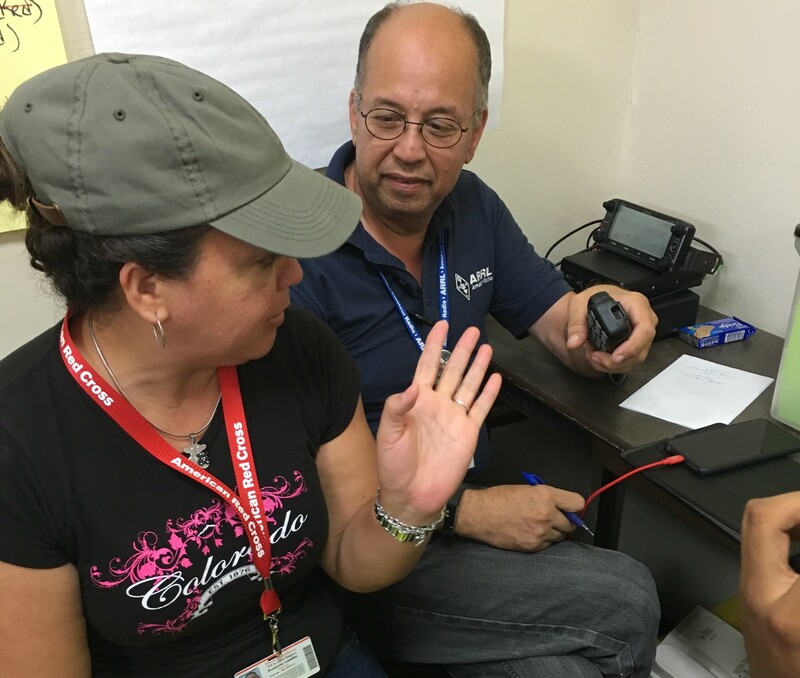 A call went out at mid-week to ALE-equipped radio amateurs in the Caribbean islands, eastern and southeast US, Central America, and northern South America. The activation will support the Dominica Airlift. Prospective volunteers are asked to e-mail HFLINK. Volunteers will use the HFL (voice) and HFN (text/data/sounding) channel sets, with 14,346.0, 7,296.0, and 5,371.5 kHz likely to be the most active. 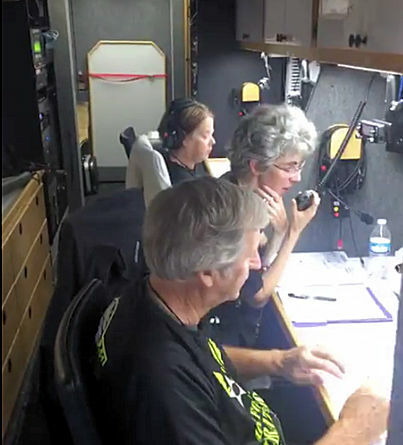 When about 15,000 runners left the starting line at the Air Force Marathon, Half Marathon, and 10K races, more than 65 Amateur Radio volunteers were on hand in the Dayton, Ohio, area on September 16 to help ensure their safety. 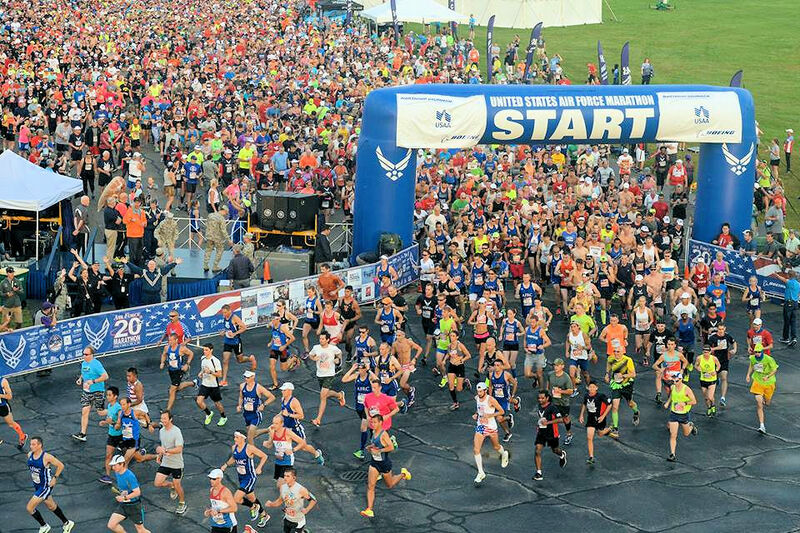 The event starts and ends at the Air Force Museum, and the course runs through Wright-Patterson Air Force Base (WPAFB) and on the streets of Fairborn. Net control stations located at the start/finish line near the National Museum of the US Air Force directed a medical net on 70 centimeters and a logistics net on 2 meters. Hams also provided communication at the eight medical and 25 hydration stations positioned throughout the courses. USAF Marathon Race Director Robert Aguiar said race officials consider the Amateur Radio volunteers a vital resource and have come rely on their professionalism and communication skills. He said it would be extremely difficult, if not impossible, to have the race without Amateur Radio-provided emergency, logistic, and medical communications among the race director, his staff, the Wright-Patterson Air Force Base (WPAFB) incident commander, and the hydration and medical stations. Air Force Marathon Amateur Radio Lead Volunteer David Crawford, KF4KWW, thanked all the Amateur Radio volunteers, some of whom have been turning out for the event for many years. "Their support helped ensure another USAF Marathon that occurred safely and met the runner's needs," he said. While most of his volunteers were from the greater Dayton area, some came from as far away as Michigan and Wisconsin. In addition to providing communication to aid stations, Amateur Radio operators also served as "tail-end Charlies" for the marathon and half marathon. Each had an APRS transmitter, as did lead vehicles and selected runners, allowing race officials and emergency services to have a more accurate picture of how the race was progressing. James "Jim" LaPorta, N1CC, of Frankston, Texas, died on September 20. He was 76. He was an ARRL and Quarter Century Wireless Association (QCWA) Life Member. LaPorta served as QCWA General Manager from March until December 2012. First licensed in 1956 as KN6SXX, LaPorta joined the US Army after high school and then went to work for the Army as a civilian in 1968 in Texas. While in Texas, he served a president of the Dallas Amateur Radio Club (1970-1972) and was a member of the Richardson Wireless Klub. He also presented ham radio classes, and one of his students was Jim Haynie, W5JBP (SK), who later served as ARRL President. 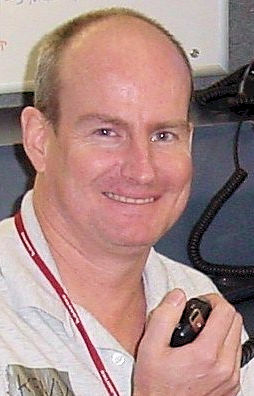 Attending college full time in the evenings, LaPorta formed the Amateur Radio Society at the University of Texas at Dallas. He graduated in 1977, while working for the US Veterans Administration as its campus representative. 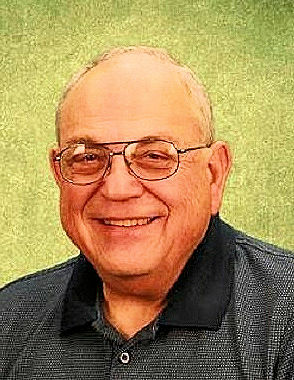 In 1978 and 1979, LaPorta served on the ARRL Headquarters staff. Later he was the Training Supervisor for Product Information at General DataComm for 3 years, before starting a 17-year career with Motorola. After retirement, he was an independent insurance representative. LaPorta's first love was DX contesting, and during his active contest years as K6SXX, WA0ISO, DL4LA, W5QGZ, and W5LA. He was the Single Operator, Unlimited QRP mixed-mode winner of the 2016 IARU HF Championship and made the Top 10 Single Operator list (QRP) list for the 2016 ARRL November Sweepstakes (phone). LaPorta also was very active during the ARRL Centennial QSO Party event in 2014. Tad Cook, K7RA, Seattle, reports: The past week was a good one for HF propagation. 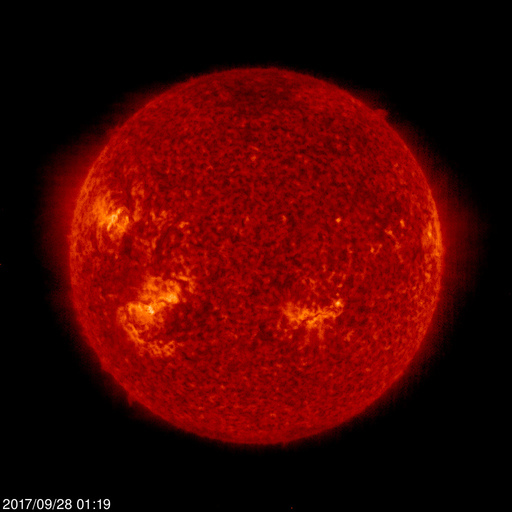 Average daily sunspot numbers doubled from the previous week, rising from 13.6 to 27, while average daily solar flux rose from 72.6 to 84.3. Average daily geomagnetic numbers were lower, with average planetary A index declining from 21.1 to 9.9 and average daily mid-latitude A index from 17.1 to 7.6. Last Friday was the autumnal equinox, so we should see a seasonal improvement in HF conditions. Predicted solar flux is 91 on September 28-October 1; 88 on October 2-4; 90, 95, 90, 85, 76, 75, 74, and 73 on October 5-12; 72 on October 12-15; 71, 74, 73, 78, 80, 87; and 90 on October 16-22; 95 on October 23-November 2; 90, 85, 76, 75, 74, and 73 on November 3-8, and 72 on November 9-11. Predicted planetary A index is 32, 26, 14, 12, and 6 on September 28-October 2; 5 on October 3-10; 25 on October 11-13; 20 and 15 on October 14-15; 8 on October 16-17; 5 on October 18-21; 16, 8, 20, 25, 20, 10, and 8 on October 22-28; 5 on October 29-November 6; 25 on November 7-9, and 20 and 15 on November 10-11. Sunspot numbers for September 21-27, 2017 were 22, 22, 12, 22, 36, 40, and 35, with a mean of 13.6. The 10.7-centimeter flux was 73, 77.5, 81.2, 86.9, 89.9, 90.7, and 91, with a mean of 72.6. Estimated planetary A indices were 7, 5, 5, 6, 5, 4, and 37, with a mean of 21.1. Estimated mid-latitude A indices were 7, 5, 4, 5, 5, 3, and 24, with a mean of 17.1.